What can makeup do for me when I’m 40+? Definitely one of the questions I hear very often during my makeup classes. Which products won’t look heavy? 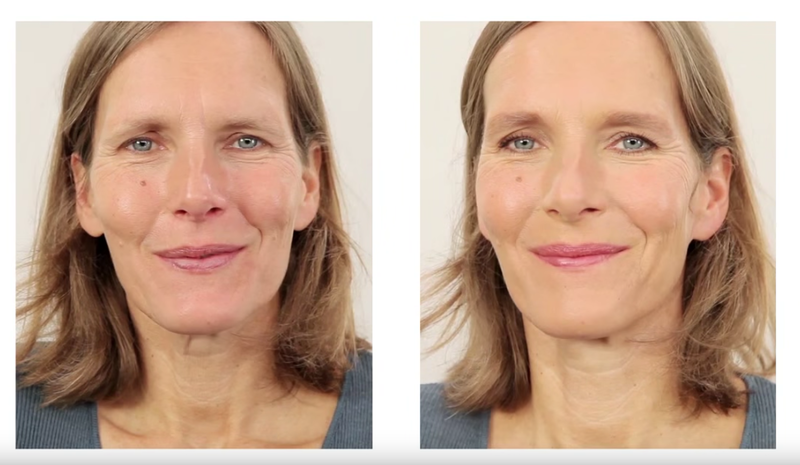 How to do an anti-aging makeup? Mature skin demands particular attention: small lines need to be hidden, brightness and glow are needed for youthfulness. In this video, I’ll show you step by step how to work your skin smooth and flawless, all in lightweight textures. Moisturizing is key: mature skin is very fine and often dehydrated. All makeup application therefore starts with a good moisturizer. For the best result, uou want to use highly efficient products which still are “light”, and apply them in a very precise manner, exactly where needed. I like to work with two different foundations, one super light one for smoothness. The other one, high coverage, I use in tiny amounts to conceal imperfections. Both have to be chosen in precisely your skin tone. I smudge and blend the lines very carefully for a soft and velvety result. Generally speaking, all hard lines should be avoided, along with too bold colors and strong contrasts. Softness is your anti-aging ally. As far as mascara is concerned, it’s all in the application technique: for the best volume effect you want to get a maximum of product into the roots of your lashes. In return the ends should be kept rather light. A hint of peachy rosy cream blush and a super transparent lip color will finish this flattering look.